As a refresher, we’re building up Arctic15: Exit Path to focus on just that – every stage of the path for startup companies. As the event is picking up momentum, we are glad to announce two new speakers. At the beginning of your startup’s path we’re proud to have Jens Lapinski, a director at TechStars London. While focusing on a slightly later stage, we have an M&A expert and Managing Partner of Cartagena Capital – Falk Müller-Veerse. With this announcement, we are also going to shut down the very early 2-for-1 ticket price in exactly 24 hours, so get yours now. Get a friend to join you and even if you do not have somebody in mind right now, do not worry, we will only ask for the name of the second attendee closer to the actual event. 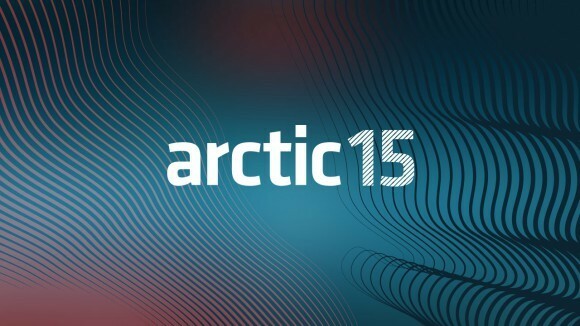 For a full list of speakers, head on over to Arctic15.com. 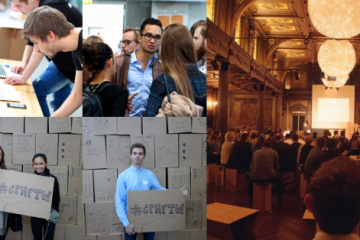 When it come to exits, they can be many things, and with our speakers and the general theme of the conference, we will hope to explore them all. From M&A, to IPO, to just building 200 year old companies. Falk Müller-Veerse is an experienced M&A and fundraising professional with over twenty years experience in the technology and internet industry. He has a global network in the investor and acquirer community and closed successful deals with Disney, RIM, Balderton, Swisscom and Telefonica, amongst others. Falk is the former head of Durlacher’s mobile industry research and investment practice (Germany/UK/Spain) and Managing Director of its German office. At Durlacher (now merged into Panmure Gordon, a division of Lazard), Falk made several wireless related investments and was author of the first industry report on mobile internet in Europe. He later founded Mobile Application Holding to acquire companies in Finland, Switzerland and Germany. Falk has sat on the board of several private and public companies in the mobile internet and games sectors. He was also on the advisory board of Frontiers Capital (the wireless-focused VC backed by Carphone Warehouse) and the German Silicon Valley Accelerator. Prior to that, Falk held various positions in management, consulting and business development for companies including Nokia, Gartner Group and Logica. Over the years, he has advised, amongst others, Vodafone, Deutsche Telekom, KPN, Belgacom, BT, Orange, Telefonica, TeliaSonera, MobilCom, Nokia, Ericsson and a several smaller players. 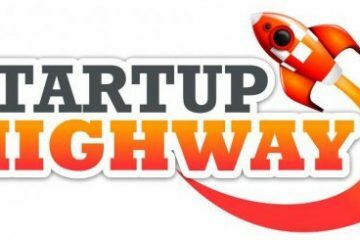 , will be concentrating on the very early stage of the path and is responsible for startup selection at TechStars. Previous to that he founded Forward Labs, a London-based startup studio where they employed lean principals to build six businesses (and shut down six) over two years. Appear Here. International category leader for renting short term retail space. Very high growth. Raised £1m Angel Round in November 2013 from consortium of leading international angels (Telegraph). Maker Academy. No.1 ranked place to learn how to code (as ranked by the Guardian). Aspires to be the worldwide category leader in teaching people how to become makers. Very high growth. Profitable. DropWines. UK’s leading flash sales site for wine. The company is in the process of being sold. Pocket Shop. UK’s first grocery shopping with immediate delivery. Went out of business in September 2013. Driftrock. Internationally leading Twitter marketing tool and analytics platform. Still very early days. Significant traction and investor interest. Loyalty Bay. Marketing incentives and audience insight. Very early days, but beginnings of solid traction. Short path to profitability. Additionally Lapinski was Founding CEO of aiHit, a provider of automated company data to the business information industry, and before that worked at Library House after getting his PHD at Cambridge. We’re excited about learning from his experiences building companies. Of course, listening to these speakers on the stage is exciting, but what is often lacking at a conference is an ability to have a one-to-one conversation with them. At Arctic15, we will try to facilitate this. Of course there will be a lot of people who will want to book those meetings, so we will be announcing the exact process a little later. So for your chance to talk to our speakers and to participate in the conference, get the tickets now, while they are still at their best price point. Next ArticleAdform's U.S. Expansion Starts With New Sales & Support Offices in NYC and L.A.